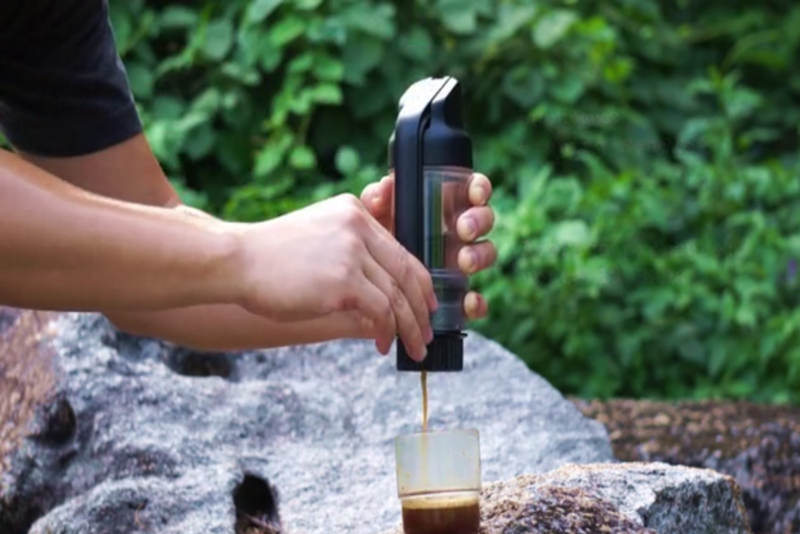 Simposh, a company in California known for designing innovative household cooking utensils, haa created Simpresso—a handheld espresso maker ready to go anywhere. The device operates wherever a user has access to heated water. 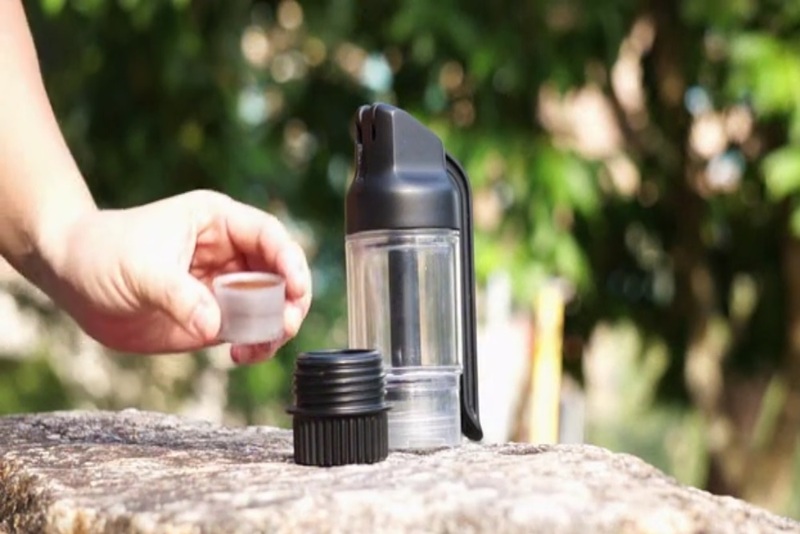 Users do not rely on compressed air, electricity or N2O cartridges to use the device, as they can use a hand pump to release their beverage instead. Simpresso comes with three parts: a sealing capsule, a scoop and the Simpresso machine. The capsule fits into the scoop to dip into the already ground espresso beans without causing a mess. The capsules were designed for travel with a cap sealing the ground beans to ensure the contents do not expire or spill during travel. With the espresso beans in the capsule, they go into Simpresso’s bottom chamber. The chamber sits under a transparent glass container where the hot water goes and holds up to 120ml of water. A double-wall of heat insulated glass was placed around the body to protect user’s hands while they held the device and to remove the need for a handle making it easier to pack away. 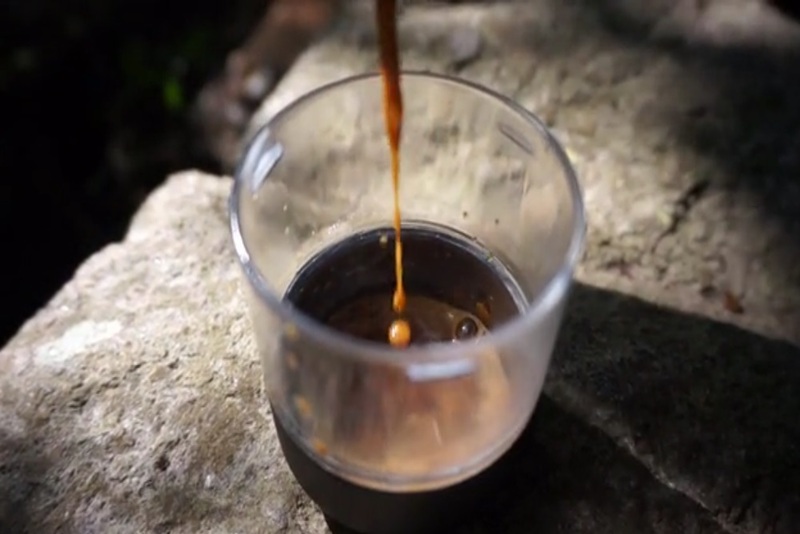 They have included water marks along the side of the container to indicate how much liquid the container needs for three different glass sizes: 25ml for ristreeto, 40ml for espresso and 110ml for lungo. A lever is attached to the top to steadily eject the mixture from the bottom. The pump requires manual operation with little effort from the user and can generate 217 to 275 PSI each time. This compresses the water inside down through the capsule into a cup below. With a transparent glass users can see how much water they have left and can freely stop at whatever level they want to have in their beverage. The developers at Simposh have started a Kickstarter campaign for Simpresso. They have a goal of $200,000. At the current rate, Simposh will not reach their funding goal. However, should they reach their goal those who donate to the project can expect to spend at minimum $48 for a Simpresso. If the developers have no problems and meet their shipment deadline these products will reach backers by November 2017.